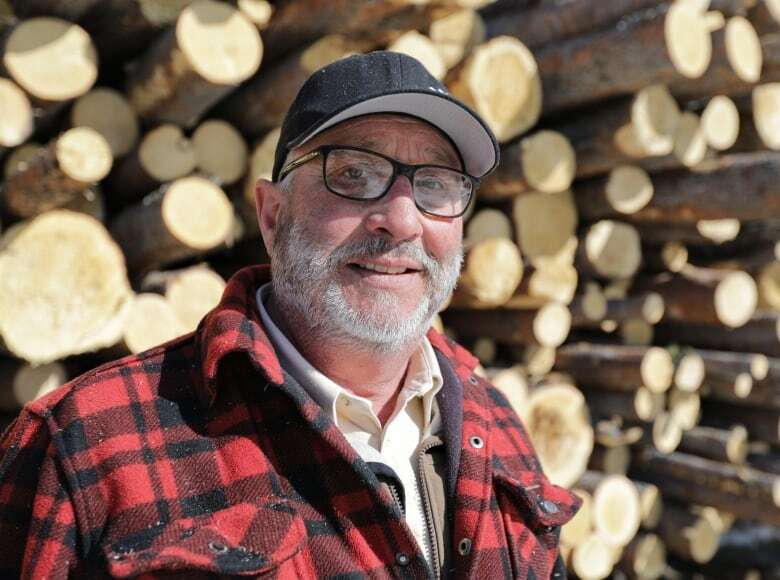 'We’ve been stockpiling our residuals for probably three or four years, in hopes that we could actually get it started,' said Ivan Thompson of Bear Creek Logging. 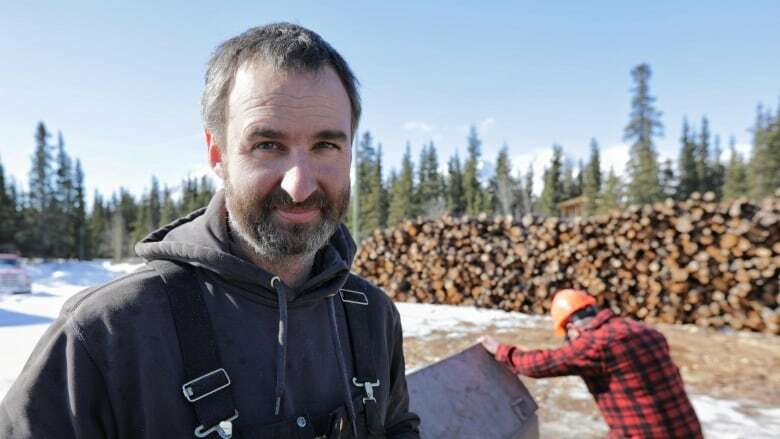 A Yukon logging company is helping its bottom line by making good use of what would otherwise be considered waste product. 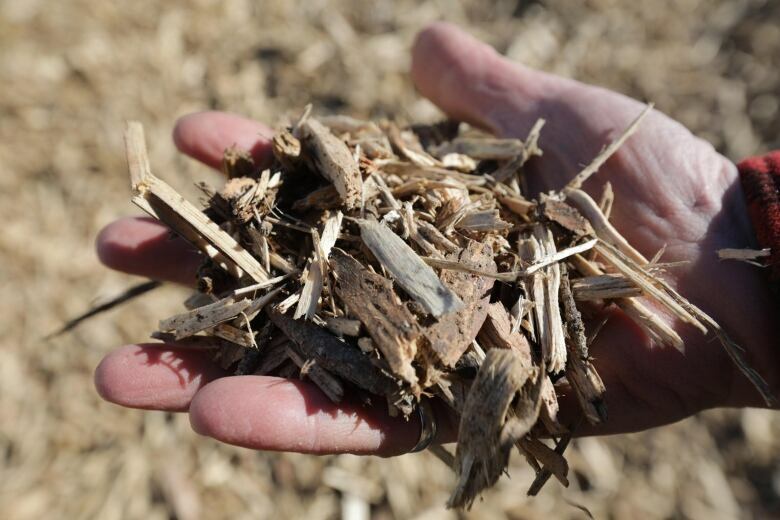 It's turning low-grade wood into chips, to fuel biomass burners. "About 25 per cent of what we're originally harvesting would end up in the slash pile," said Ivan Thompson of Bear Creek Logging in Haines Junction. "It's being consumed by fire anyway, so [it] may as well be heating buildings." The company harvests between 4,000 and 5,000 cords of firewood each year, most of it beetle-killed trees in the Haines Junction area. Bear Creek is the largest firewood logger in the territory. 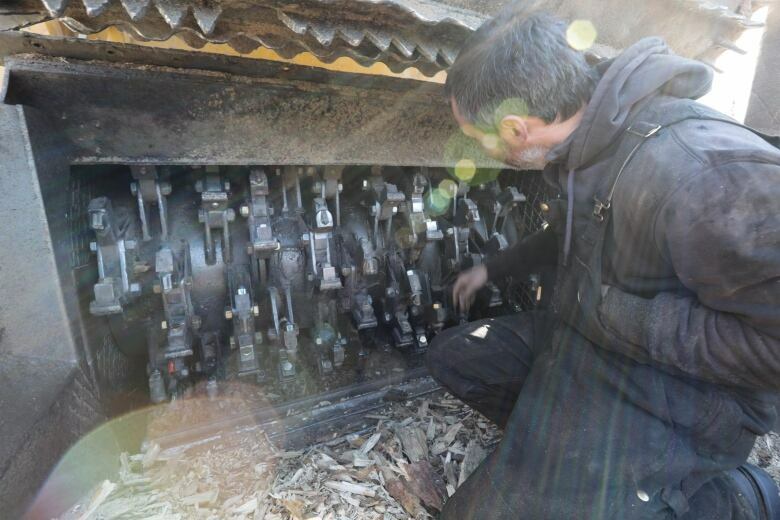 Thompson's company bought a $150,000 chipping machine last year — a Bandit 3680 Beast Grinder — with some financial help from the federal government (CanNor paid about two-thirds the cost). Last spring, the company gave it a test run and now it's supplying material to two biomass boilers in Whitehorse, at Raven Recycling and at Yukon Gardens. "We've been stockpiling our residuals for probably three or four years, in hopes that we could actually get it started," Thompson said. The Yukon government has thrown its support behind biomass projects, seeing them as a way to cut the territory's consumption of non-renewable fossil fuels such as diesel. Last year, the government gave $150,000 to the Teslin Tlingit Council to help convert several community buildings to biomass heating. Biomass is also used at the Whitehorse Correctional Facility, and a chip-based heating system has been used in Dawson City's wastewater treatment plant. Myles Thorp, executive director of the Yukon Wood Products Association, wants to see continued government support for biomass. "People who want to transition to biomass, away from their fossil fuel units for heating their houses and their buildings, should be able to get part of that capital cost back through some form of assistance from the government," Thorp said. Thorp says biomass makes environmental sense, and economic sense. He says Yukoners spend about $200 million each year on fossil fuels, and only a small fraction of that money stays in the territory (for example, to cover delivery and storage). According to Thorp, biomass represents a great opportunity for the territory's relatively small logging industry. "Instead of spending money on importing fossil fuels, let's use what we have here in our backyard," he said. "There's a lot of value in this forest, in terms of energy — stored energy that can be released on demand."